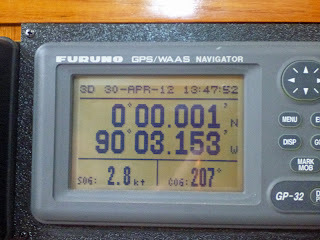 Additional text for the following photos is included in the blog posts from April 9-May 1, 2012. 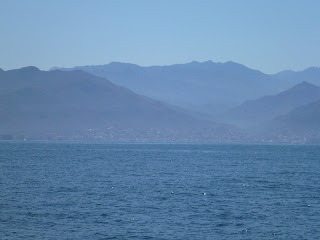 A brief description of each photo is also included here. 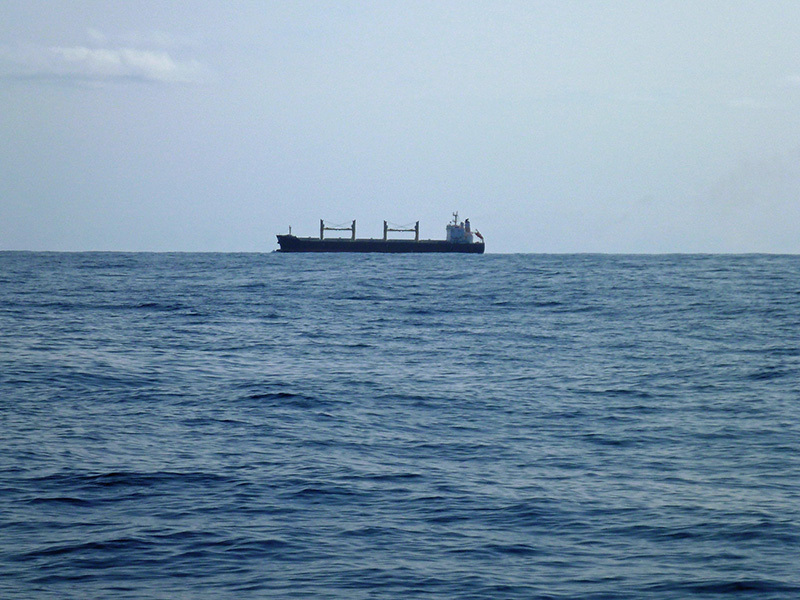 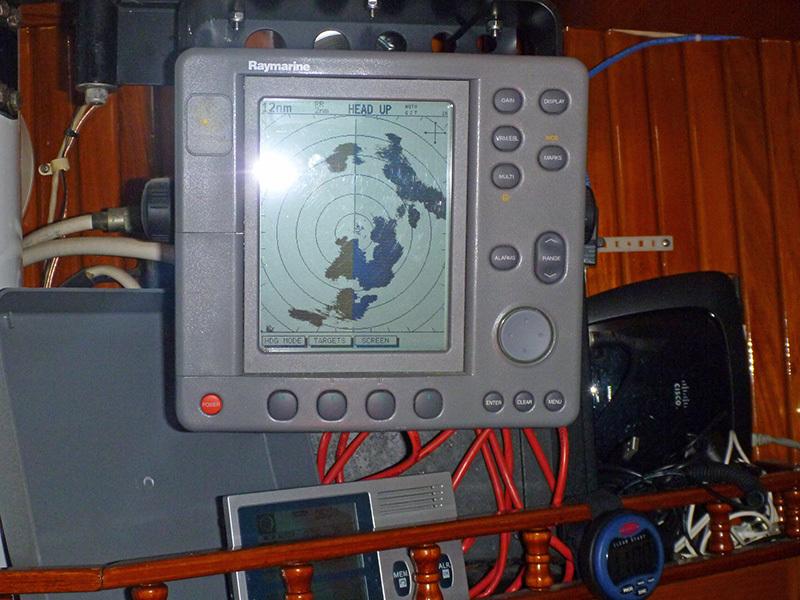 This is the type of vessel we sometimes pass in the middle of the night and represents one of the reasons why sailboats keep a watch. 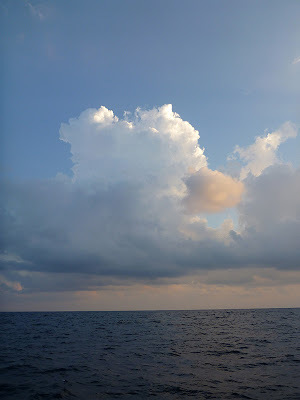 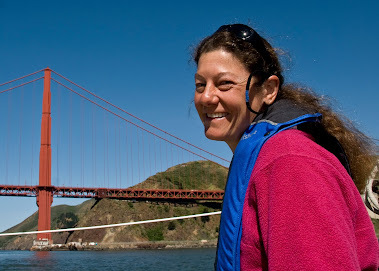 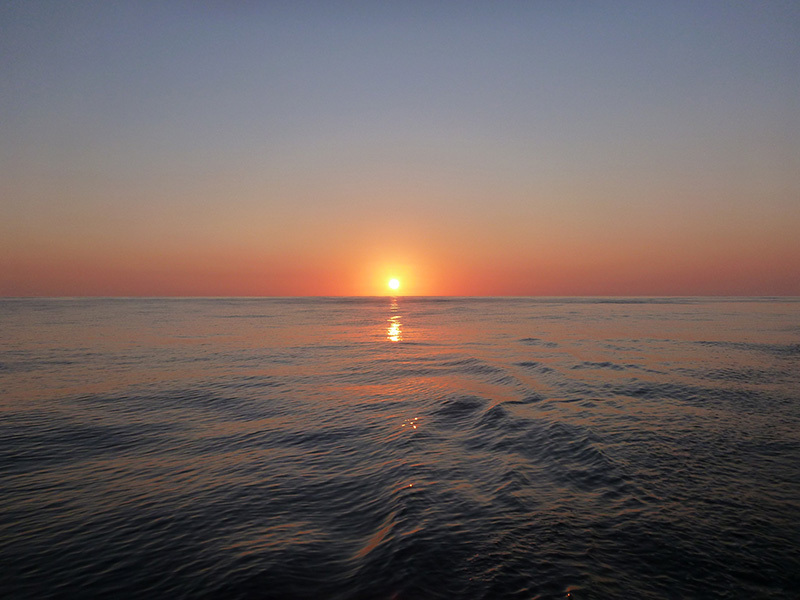 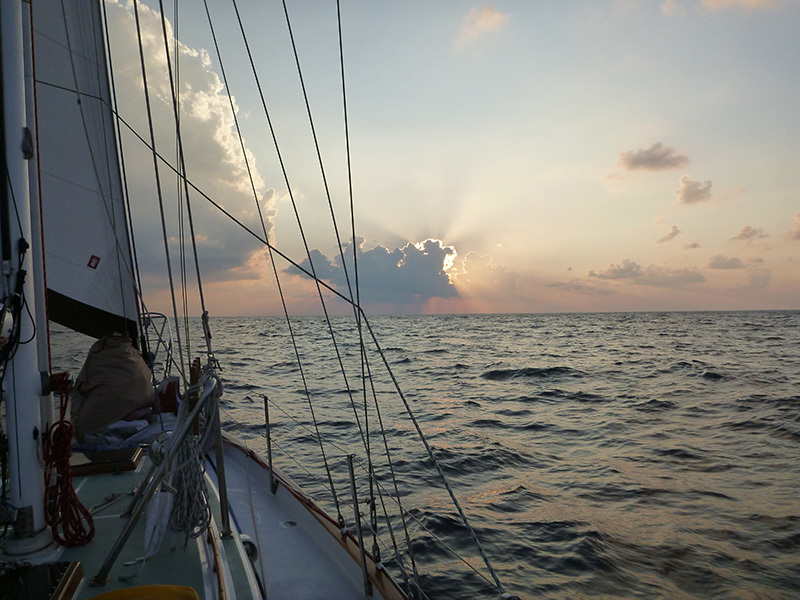 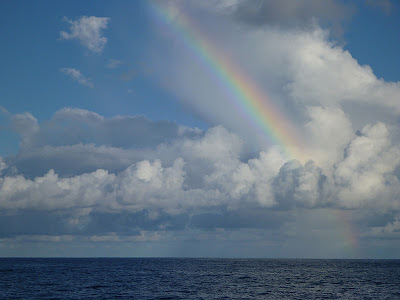 We had a calm beginning to our passage with beautiful sky and seascapes. 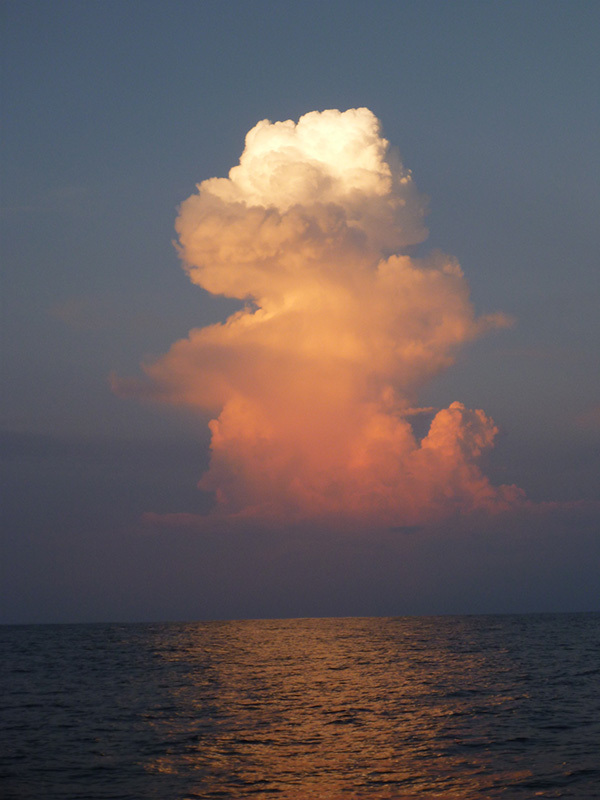 I'm not a talented enough photographer (yet) to bring you the night sky and seascapes. 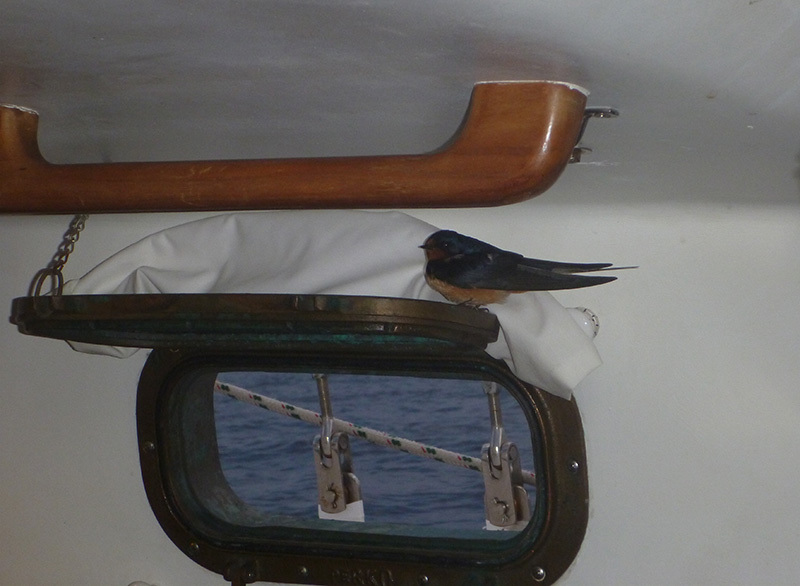 A swallow also came for a rest one stormy night. 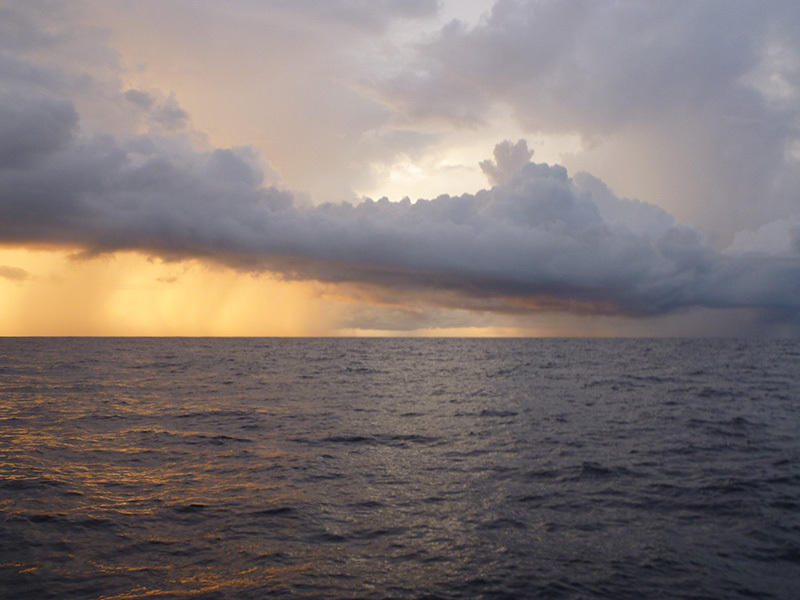 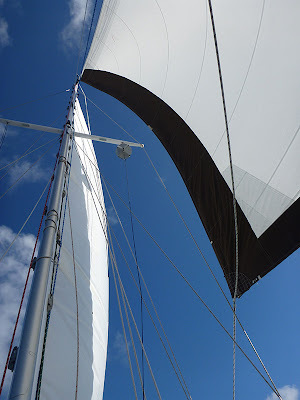 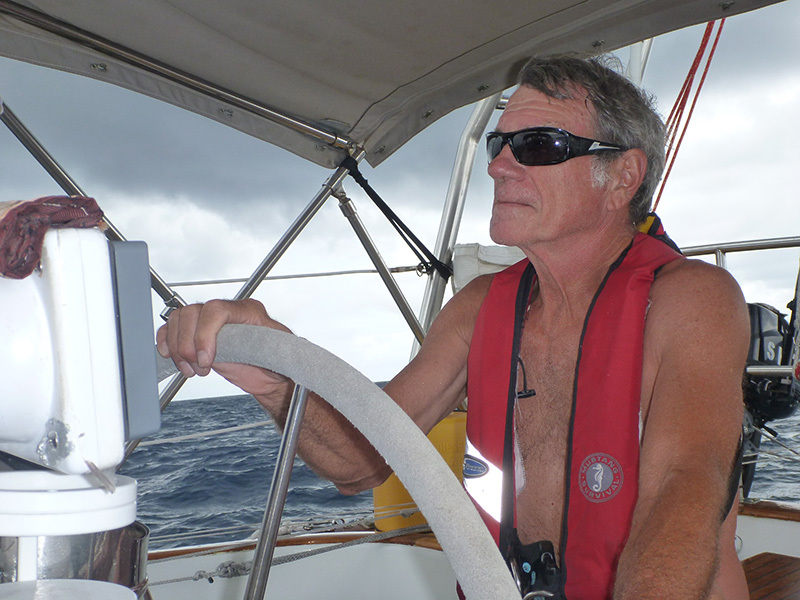 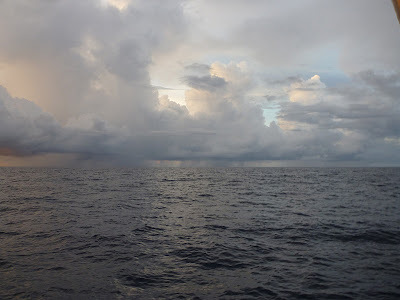 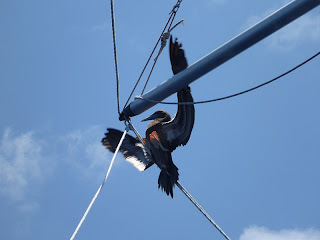 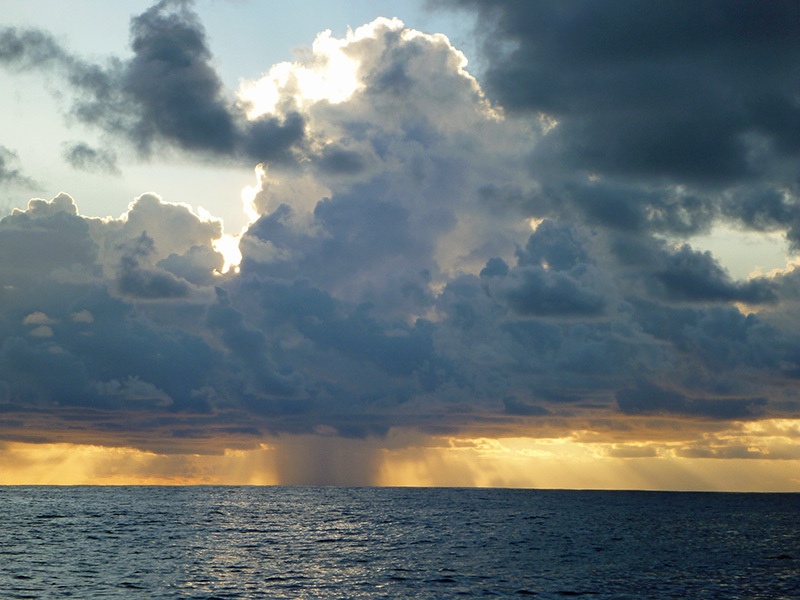 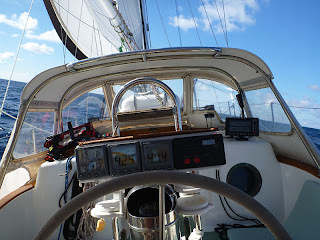 Next we entered the Inter-tropical Convergence Zone (ITCZ or doldrums), where we spent a lot of time dodging squalls and some time sailing through squalls. 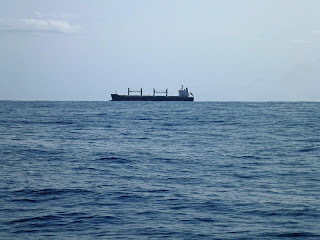 We also spent a lot of time (a week) not moving or barely moving. 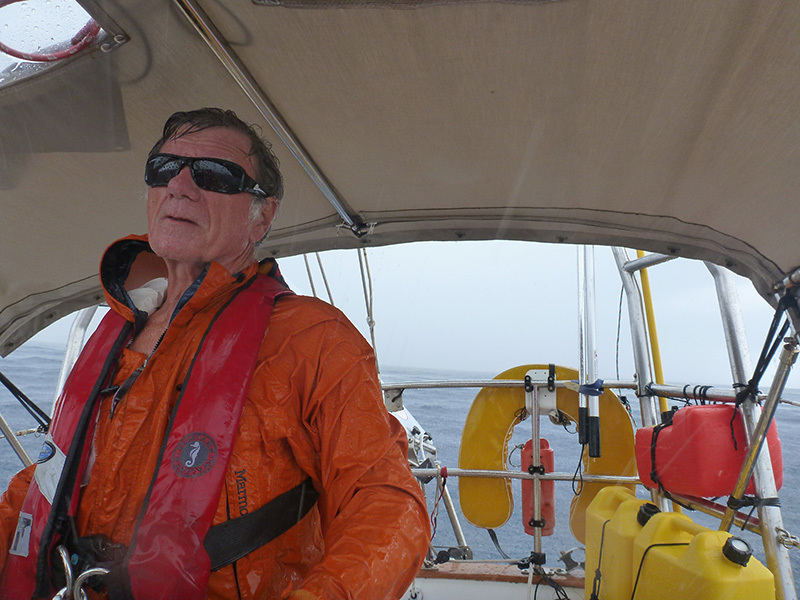 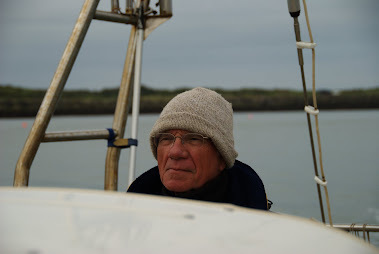 The skipper became an expert at dodging squalls. But there were some we couldn't avoid. 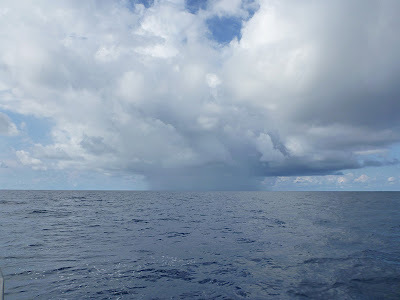 This is the view from inside a minor squall. (If it was a major squall, I wouldn't be taking pictures!) 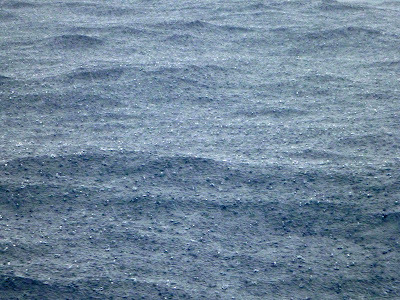 The rain pelts the surface of the sea and beats it down until it has a soft, misty texture. 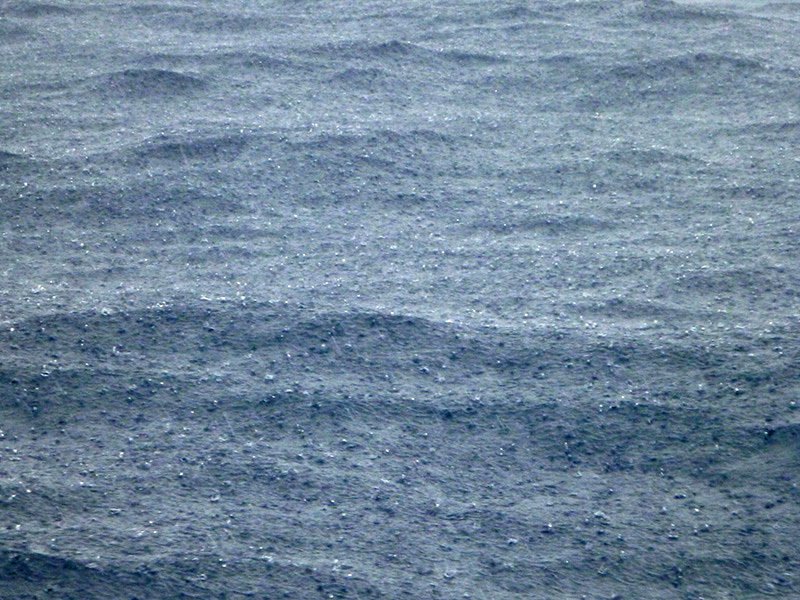 You can see the smooth-downed wave tops approaching from a distance. 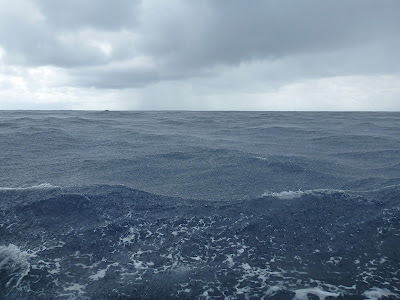 Suddenly, the sky around you disappears; you are enveloped in gray; and you know you're going to get...hammered! Squalls weren't all bad, though. 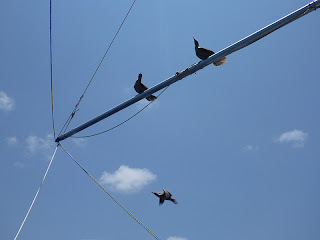 They brought their own beauty. 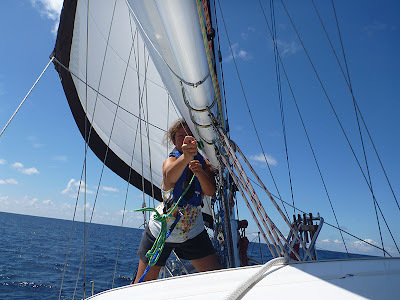 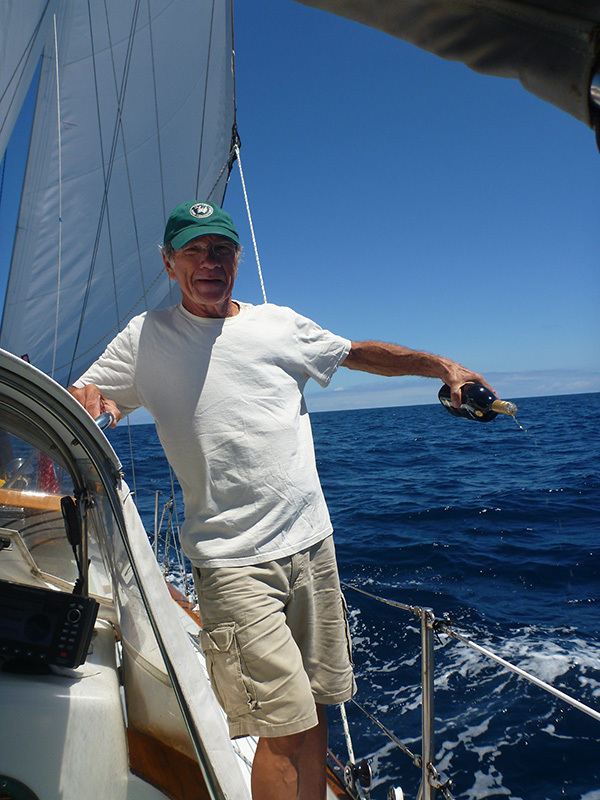 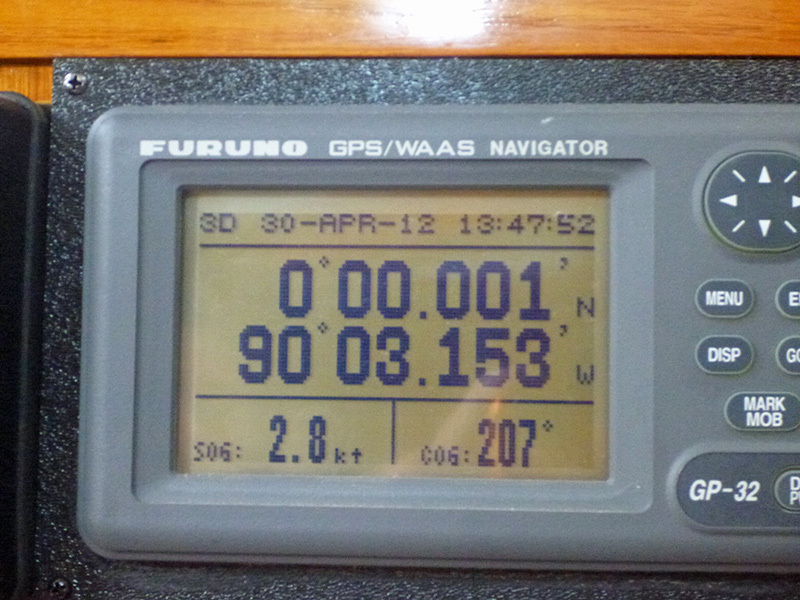 Although it sometimes never seemed like we would, we finally made it through the doldrums and were moving again! 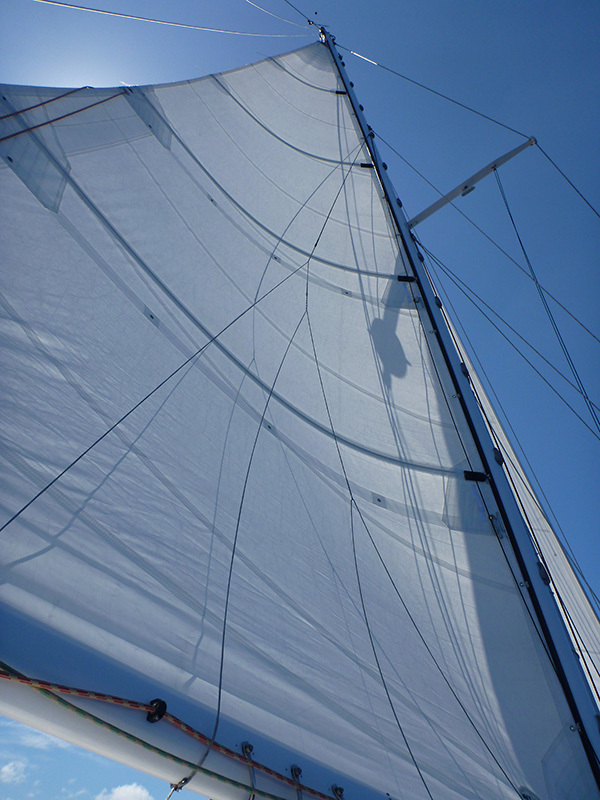 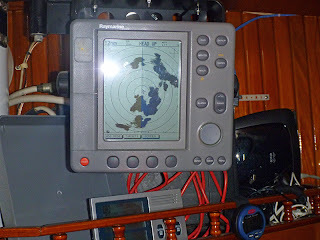 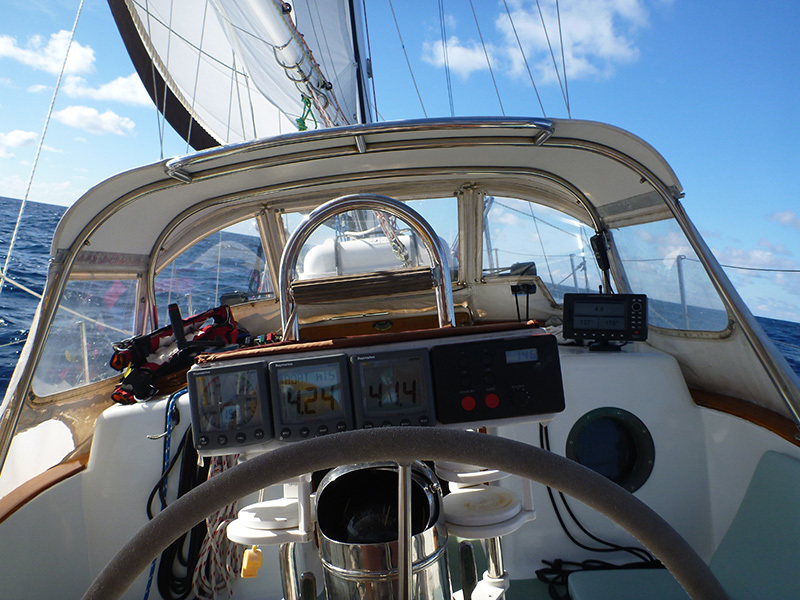 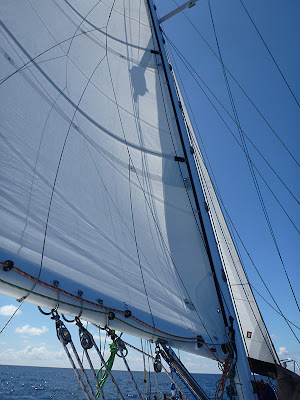 Unfortunately, our ideal sailing conditions didn't last, and we soon had to shift from a reach to a beat. 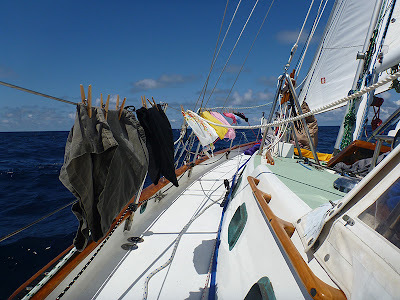 As the sweltering heat of the ITCZ was alleviated by wind, doing chores became easier again. 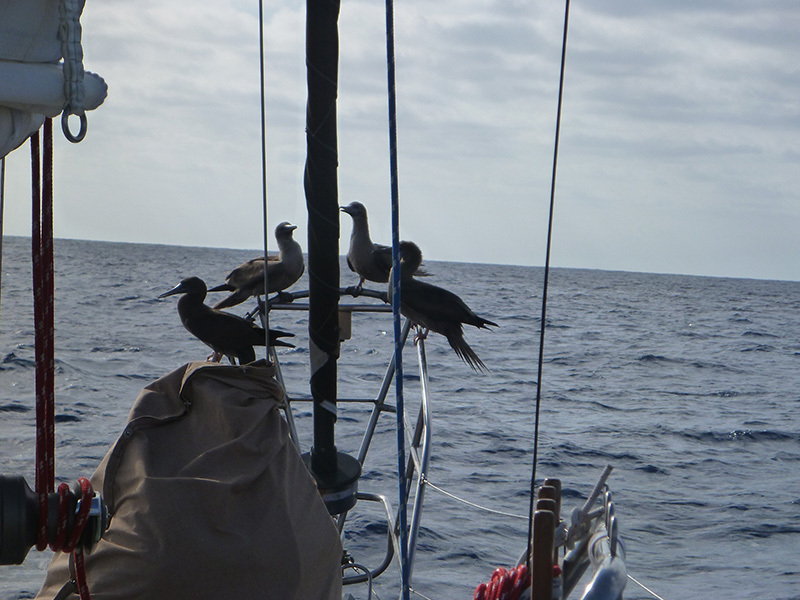 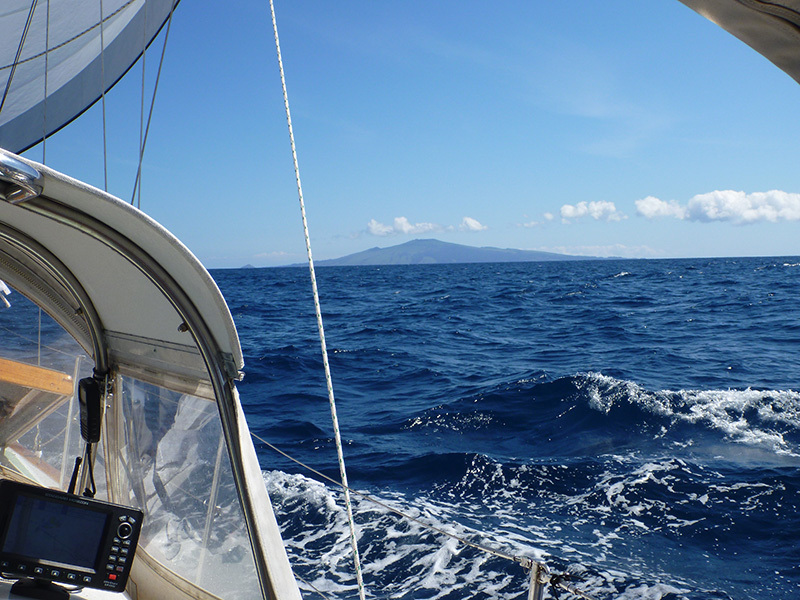 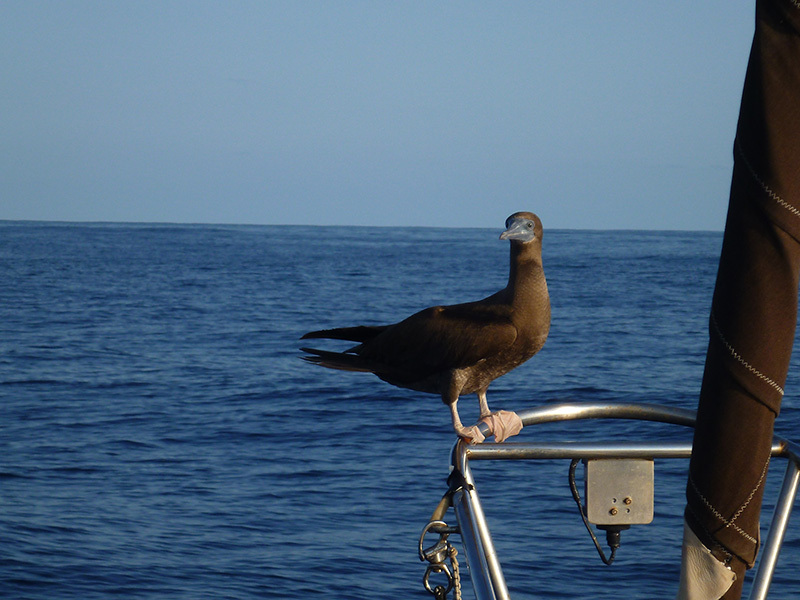 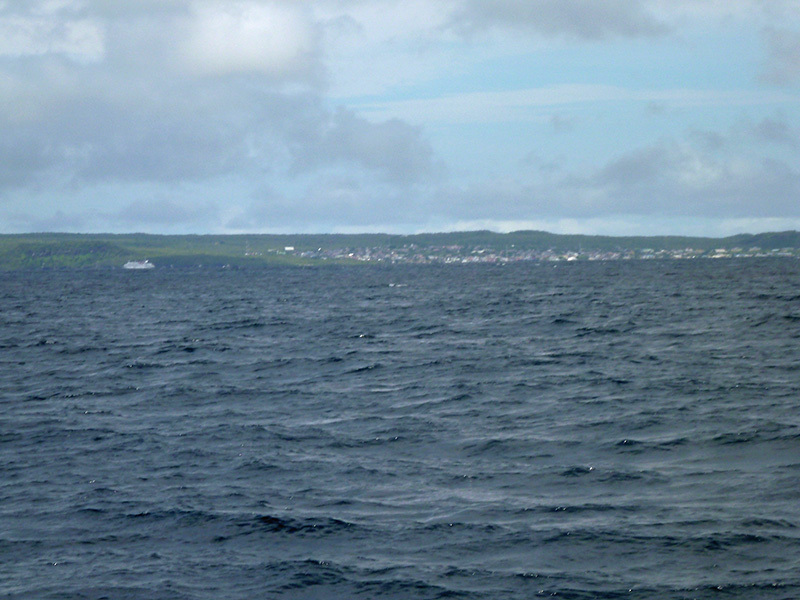 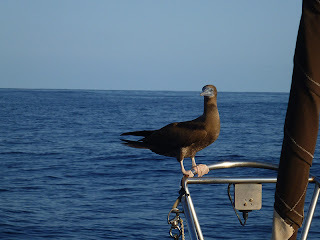 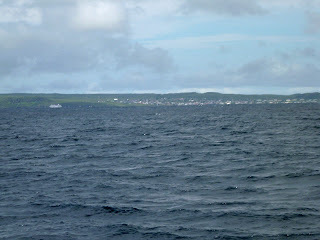 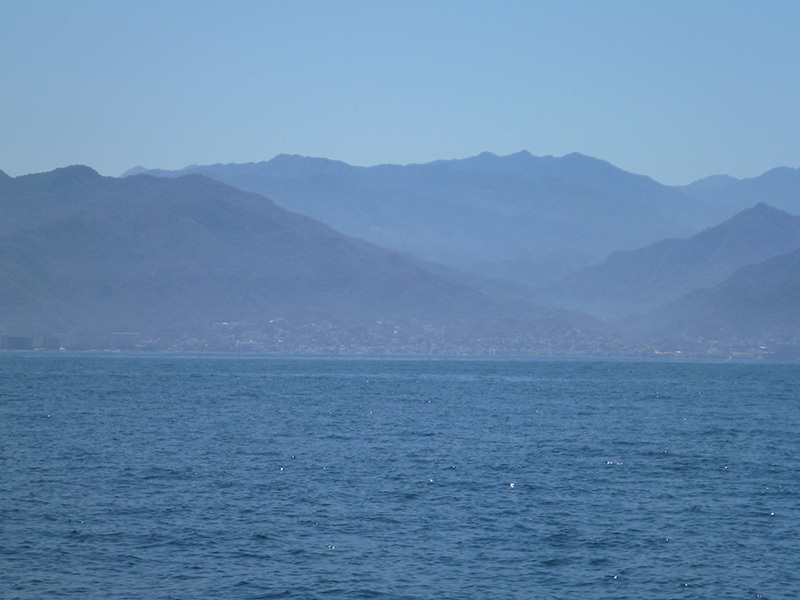 We made landfall in the Galapagos with our first view of Isla Pinta on April 29, 2012. 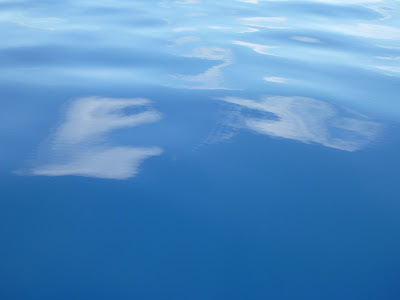 ...and made the appropriate offerings to Neptune. tempt fate by not giving King Neptune his offering. 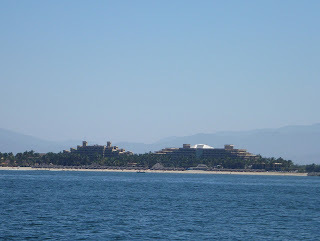 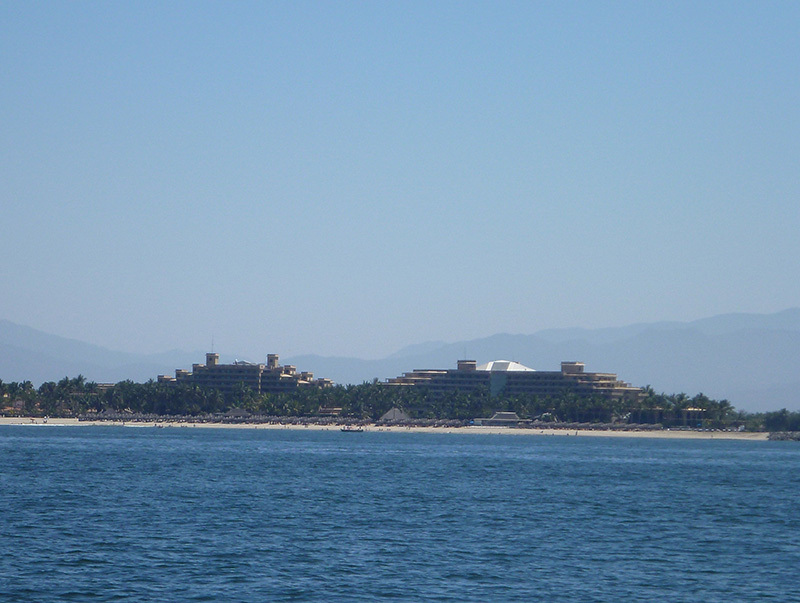 The wind picked up just in time for our arrival at Isla San Cristobal.